Modest Mama: My Magazine Models! 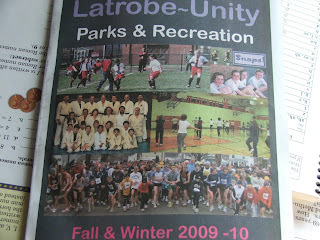 We received our newest edition of the Latrobe-Unity Parks and Recreation catalog and guess who made the cover? 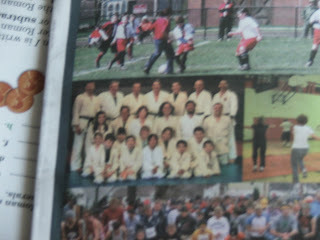 My judo boys: Michael, James and Isaac. Truthfully, we didn't even notice. The catalog came and I immediately flipped through it to find the days and times for all our activities. It was only after a neighbor mentioned it that I went back and looked at the cover.